It has been cold here lately in Tulsa. We don’t usually get too much ice on our ponds, lakes, and swamps but we got a little skin of ice at Oxley Nature Center. 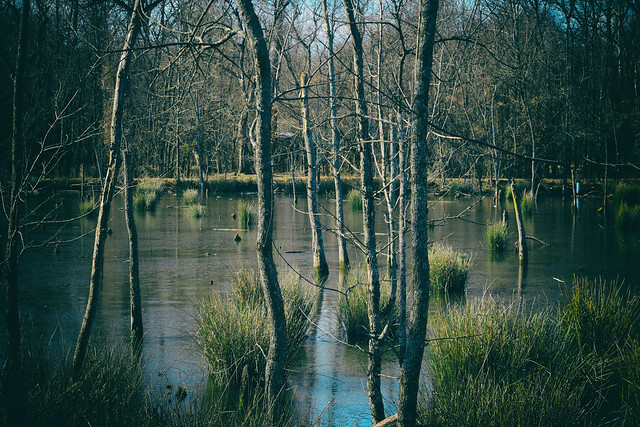 This entry was posted in Weekend Reflections and tagged "Weekend Reflections" Oxley Nature Center" Ice "Cold Weather" Tulsa Oklahoma on January 5, 2018 by Alan Bates. I hope everybody had a great Thanksgiving. We sure did. We had plenty of food, turkey, pork loins, mashed potatoes, biscuits, dressing, cranberry sauce and a couple different pies. 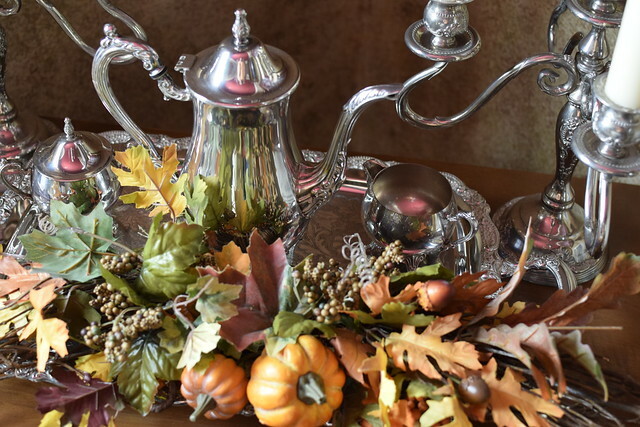 While wandering my MIL’s house with my camera I found her coffee service with Fall decoration. There is something about reflections that not only reflect but amplify images as well. That change the appearance in a fundamental way. I’m linking with Weekend Reflections today. 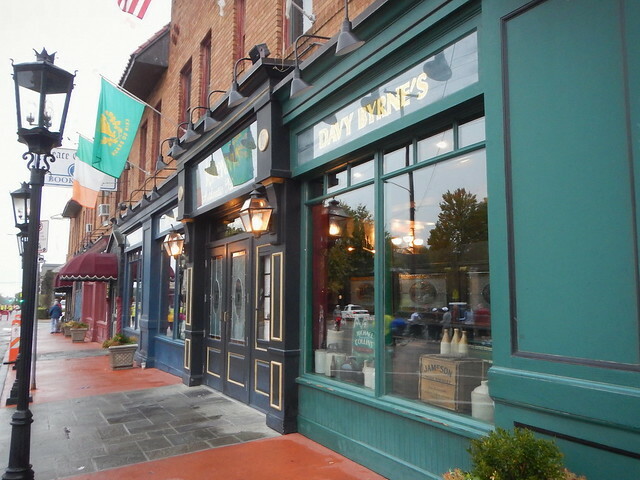 This entry was posted in Weekend Reflections and tagged Weekend Reflections on November 23, 2017 by Alan Bates. The Winter Solistice was Wednesday. I went out on the Arkansas River trails here in Tulsa to get some fresh air. Fall has definitely given over to Winter here. If we can just get through this season without ice I’ll be happy. 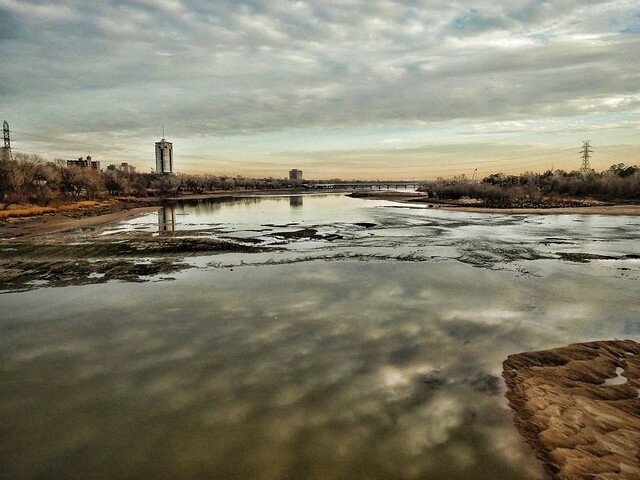 This entry was posted in Weekend Reflections and tagged Arkansas River, Tulsa, Weekend Reflections, Winter, Winter Solstice on December 23, 2016 by Alan Bates. The tempietto in the gardens of Tulsa’s Philbrook Museum is a popular photo in town. I am always looking for different ways to photograph it. 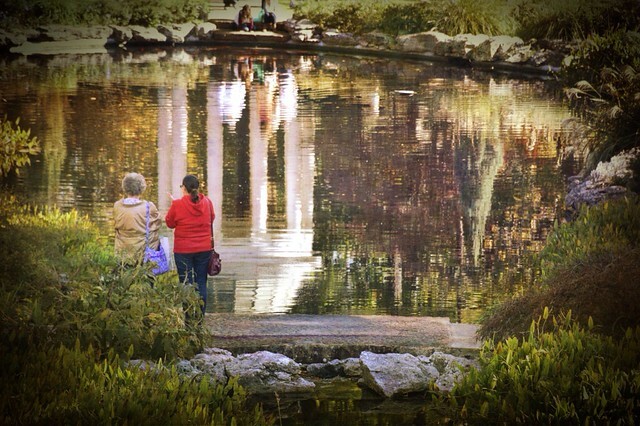 This entry was posted in Weekend Reflections and tagged Philbrook Gardens, Reflections, Tempietto on November 19, 2016 by Alan Bates. On my weekend geocaching/camping trip last Sunday to Oklahoma’s beautiful Osage Hills State Park, I got up early Sunday morning, struck camp and went down to Sand Creek and took a few pics. Fall is not very advanced here but that didn’t matter. The light Sunday morning was magical so I walked and hopped the rocks along the rapids of the creek taking pictures. With this one I was going to crop the the shadow selfie out but what the heck. I’ll leave it in. 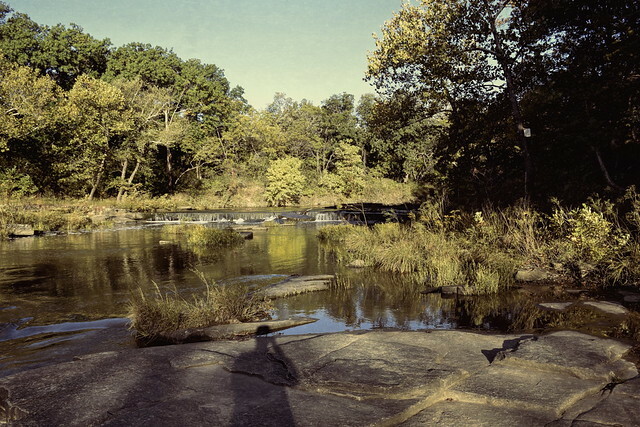 This entry was posted in Weekend Reflections and tagged Oklahoma, Osage Hills State Park, Sand Creek, Weekend Reflections on October 21, 2016 by Alan Bates. 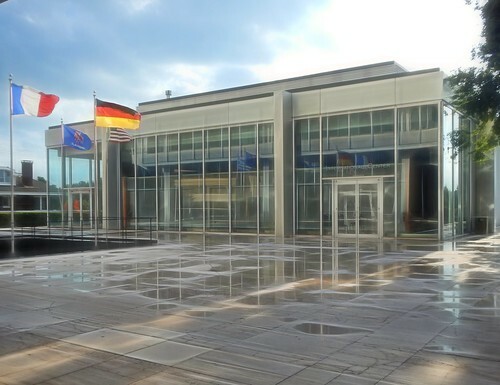 On an after work, post rain, run the other day I braved the security guards and dashed into Into the courtyard of International Plaza to take a pic of the multitude of various flags, glass, shiny metal, and standing water. 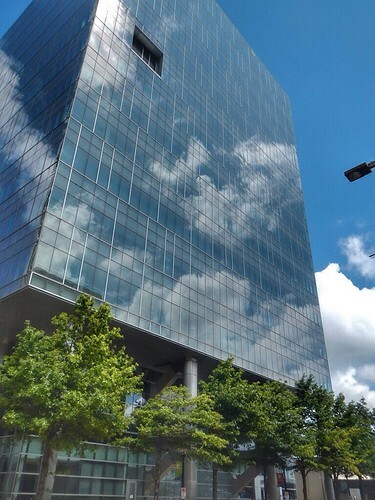 This entry was posted in Weekend Reflections and tagged International Plaza, Oklahoma, Reflections, Tulsa, Weekend Reflections on August 26, 2016 by Alan Bates. So I thought I would upload the photo on Instagram but I wanted even more oomph so I ran it through the various editing apps I have on my Ipod and I just went crazy. I used ToonCamera, Prisma, and DistressedFX and generated these in a matter of minutes. I like them all to one degree or another. And the winner is ….. This generated with DistressedFX. I liked the gradient in colors that it produced from top to bottom. 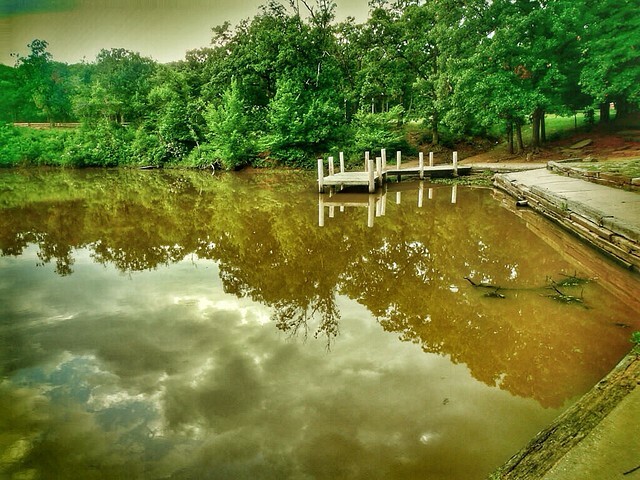 So do you use Apps in editing your photos, or Photoshop, Corel, Picmonkey or something else? Are you on Instagram? We should be Instagram buds!! My account is @yogiab. Recently I have been asked by the Tulsa River Parks Authority to post under their accounts @TurkeyMountain for the Turkey Mountain Urban Wilderness Park and @riverparks. I’m just one of several people who post under those accounts but check them out anyway. So everybody have a great weekend out there and I can’t wait to look at other reflections posts later this afternoon. 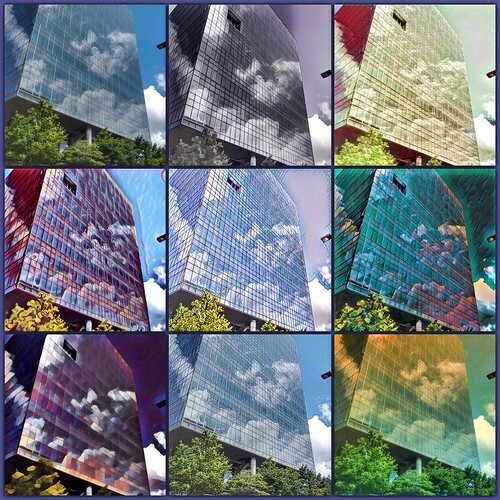 This entry was posted in Weekend Reflections and tagged Apps, City Hall, DistressedFX, Instagram, Ipod Apps, Prisma, Snapseed, ToonCamera, Tulsa, Weekend Reflections on August 19, 2016 by Alan Bates. The Bon Secour River in southern Alabama from a couple years ago. We are planning on going back again this summer to the Redneck Riviera for our family vacation and we will most likely be kayaking down the Bon Secour again. 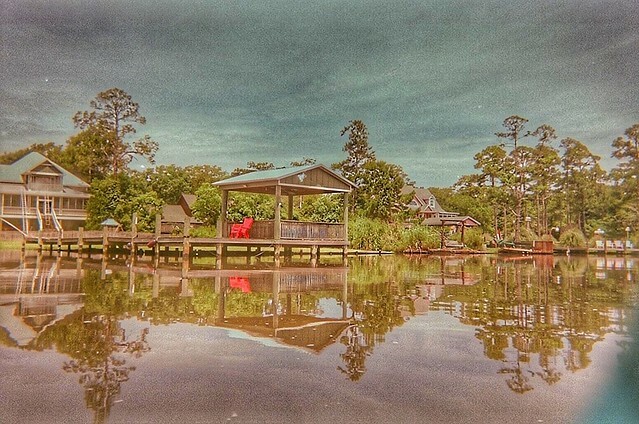 This entry was posted in Weekend Reflections and tagged Alabama, Bon Secour River, Kayaking, Red Neck Riviera, Vacation, Weekend Reflections on June 10, 2016 by Alan Bates.